Above is the DublinBikes station at Wolfe Tone Street in Dublin city centre — it’s between Mary Street and Parnell Street, and parallel to Jervis Street. The area is a mess for cycling — many streets around it should be two-way for cycling. The section of Mary Street between here and Capel Street effectively is two-way for bicycles and it shows that there’s no issue with such. If this was the Netherlands, all of the small local-access streets would be two-ways for bicycles — in this case not so much the city council’s fault but an issue of a lack of clear and legal guidelines nationally. 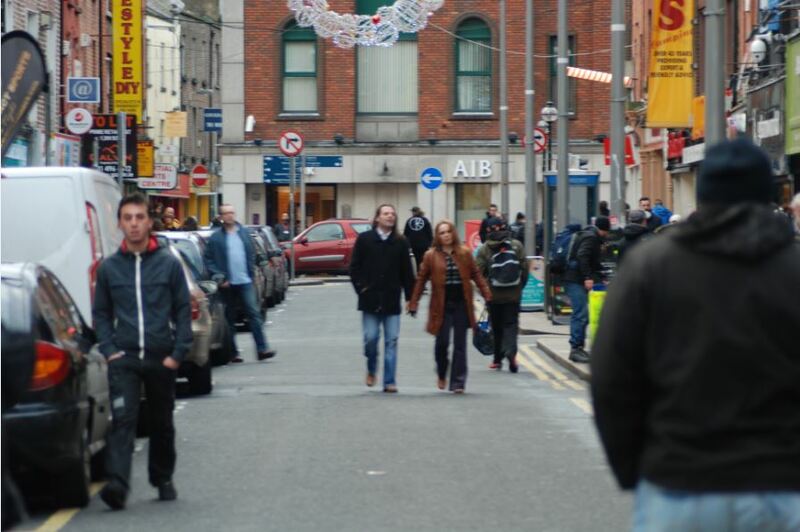 The strange thing is, Wolfe Tone Street north of Mary Street is two-way. 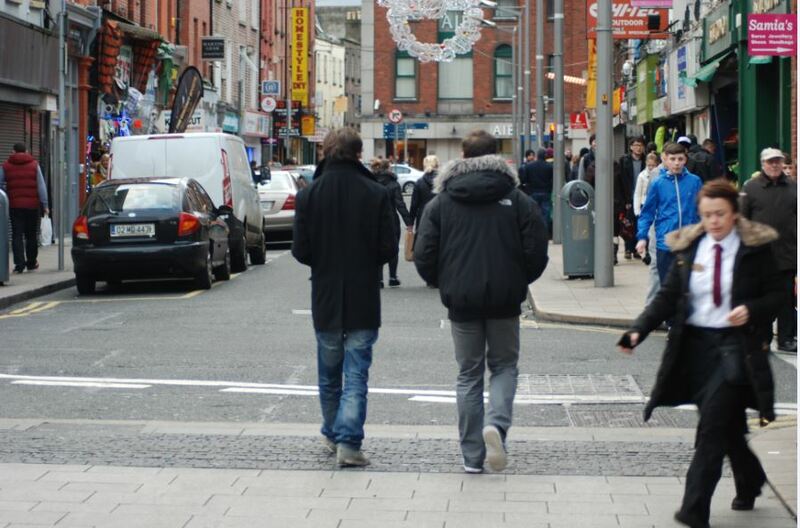 Users of DublinBikes can get on their bicycles and cycle north from here and even turn right onto Parnell Street. 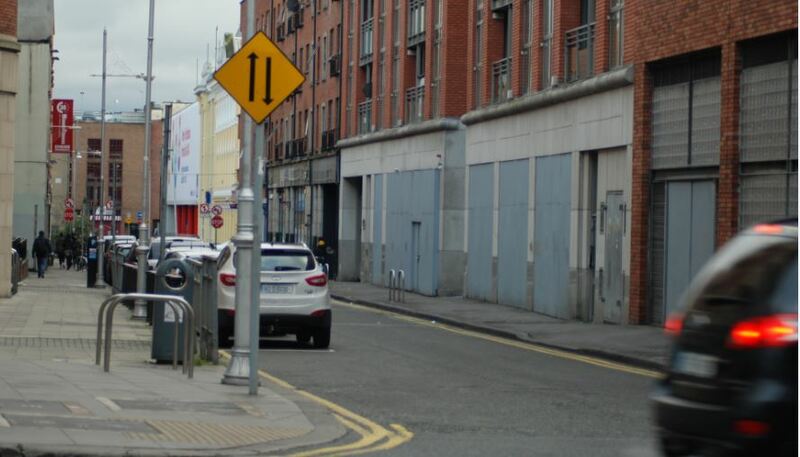 There’s signs near to the north end of Wolfe Tone Street noting its two-way nature, pictured below — but where it intersects with Mary Street, as pictured above, that’s not clear at all. As an aside: Three things worth noting from observing this street while waiting there for a short time: As mentioned are how all the streets are effectively is two-way for bicycles; how the no entry “expect access” sign on the south end of Wolfe Tone Street might as well read “and rat running”; and how people on foot often take over the carriageway on Mary Street when there’s a gap in the flow of traffic etc.